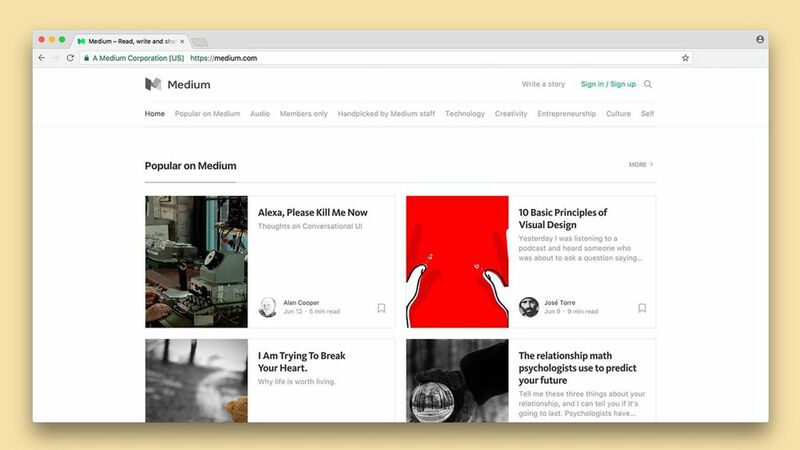 Publishers are leaving Medium, the crowdsourced-based content platform, amid business changes that make It harder for them to make money. Most notably in the last month, Bill Simmon's sports/culture blog The Ringer moved to Vox and Condé Nast's tech blog BackChannel moved to Wired. Why it matters: Medium's long-term solution to this problem is to wait until its subscription model is out of beta and revenues will go up. But their interim strategy of retaining publishers despite having no short-term revenue plan is failing. Medium's struggle is shared by other internet publishers struggling to figure out how to build a sustainable long-term subscription model while ad revenues collapse in the wake of Facebook and Google's dominance. It's been hard for publishers to make money on the platform since Medium announced in January that it was pivoting its business model away from ad-supported content towards a subscription model. A lot of these publishers initially joined Medium last year because of the ad revenue cut (among other benefits), but with Medium's subscription-supported revenue model still in beta, publishers haven't seen short-term benefits of staying within the platform. June 9: BackChannel: "In the time since Backchannel launched, Medium has shifted its business strategy, and it's no longer as focused on helping publications like ours profit," BackChannel Editor Jessi Hempel said in a blog post. May 30:The Ringer: "This partnership allows us to remain independent while leveraging two of the things that Vox Media is great at: sales and technology," The Ringer founder Bill Simmons in a statement. May 16: Pacific Standard editor-in-chief Nicholas Jackson says it's building its own site to migrate to that will better drive subscription growth, in an email to Poynter. May 10: Film School Rejects: "We'd love to be able to do this all without any ads, but there's no money in that," publisher Neil Miller said in a statement. April 1: War is Boring announced that it left Medium in April to use its own proprietary platform.